My name is Jessica Edens, and I’m a senior environmental studies major. 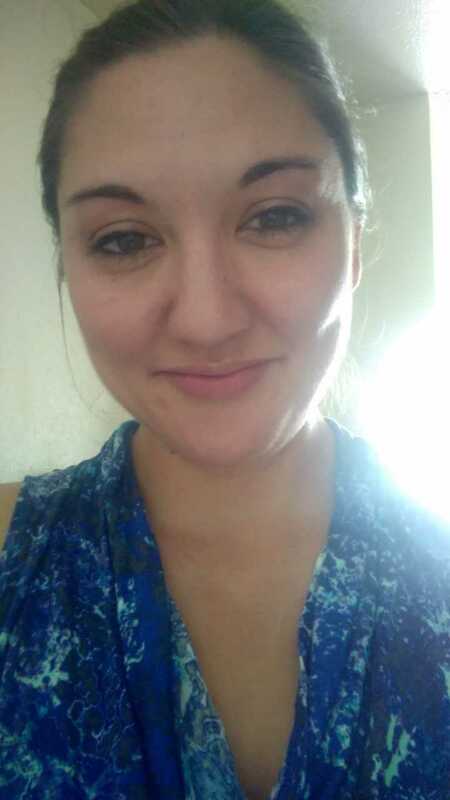 After graduation from PUC, I plan to pursue law school and get my J.D. My internship is with the Bureau of Reclamation within the Department of Interior as a park ranger. While there are many duties, one is working with local non-profits and other organizations to educate youth groups or perform community outreach programs. There are a lot of natural resource activities involved, like trail building and maintenance, invasive species prevention program for quagga and zebra mussels, re-planting of native trees, conservation, and water management. My internship is at Lake Berryessa, California. I have worked there since July 2018. A big part of being a park ranger is working with the environment while educating people in the hopes of creating or maintaining good conservation practices. It’s trying to spread the idea we only have one earth and we should be preserving what we have. Being an environmental studies major, I took a lot of classes about biology and the environment. There were many classes I took at PUC I am able to use in this internship. So much of the material and topics I learned in the classroom have proven invaluable in aiding my ability to speak knowledgeably on a subject. 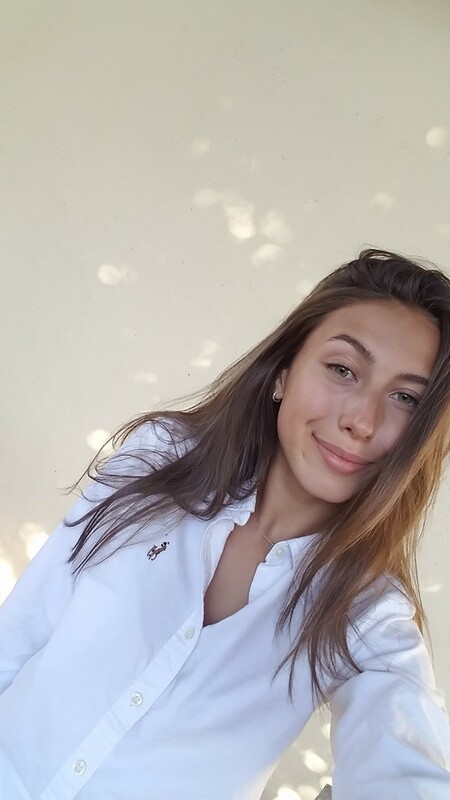 My name is Emma Payne, and I am a biochemistry major looking to go into biomedical and pharmaceutical research after graduating before going to medical school. Under the guidance of Dr. Sung, I participated in research of Alzheimer’s disease from a physiological standpoint before continuing on to biochemical experiments. In our experiments, we collected data based on C. elegans worm behavior and its attraction to chemoattractants that replicated the smell of food. I was responsible for making more batches of E. coli food for the worms, incubating new batches of worms, and carrying out new behavioral tests based on the diet and age of worms. I was able to work with Dr. Sung in Alzheimer research here at PUC in the research labs of Clark Hall during my freshman year. In my research experience, I learned to cement process and create consistent procedures to limit the amount of error in data results. I feel as though my experience in my research with Dr. Sung has been foundational to any future opportunities in research or in my practice in medicine later in life. By experiencing research and the process of exploring what causes biological mechanisms I learned to think abstractly and use information I was learning in my chemistry and biology classes to apply in our experiments. Additionally, I learned by reading the articles of others’ work I was able to see how useful it is to use the research of other’s to the furthering the understanding of diseases like Alzheimer’s by working as a community. Previously I curated a love for lab research in high school when I took survey chemistry classes. I have also gotten the opportunity to intern at a clinic in Houston and interact with individuals who suffered from Alzheimer’s disease. In having experience and a background in chemistry, however introductory, lead to my ability to look at biological research on a fundamental and chemical level as well as have skills to understand laboratory procedure and tools. 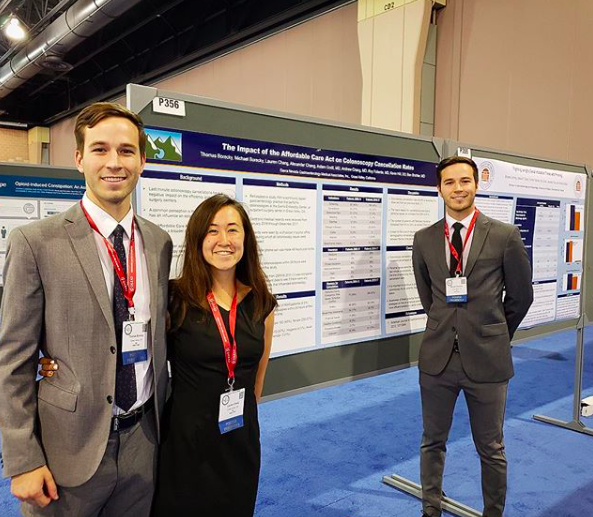 PUC students Tom Borecky, Lauren Chang, and Mick Borecky presented their research project as a poster presentation at the American College of Gastroenterology national convention in Philadelphia, Oct 7, 2018. My name is Tom Borecky, and I am a senior biology major. I will be attending medical school in the fall and hope to get a master’s degree in public health as well. I had the privilege of participating in a research project examining the impact of the Affordable Care Act on colonoscopy cancellation rates. I was responsible for organizing and collecting data from over 400 cases to analyze the specifics of the reasons for cancellations, such as demographic information and insurance type. I did this work when I returned home from my gap year as a student missionary in Uganda in March 2018. This research was done at the Sierra Nevada Gastroenterology practice in Grass Valley, California. We spent a few weeks collecting and organizing all the data, and had the opportunity to present a poster of the findings at the American College of Gastroenterology annual conference in Philadelphia the following October. Throughout my experience, I learned the intricate process of research, which can be extremely detail-oriented and tedious, is essential to produce accurate information that will guide and help people. Also, the skill of learning how to work with others as a team to accomplish a goal was a major achievement from my research experience. These skills have impacted my life beyond the research in tremendous ways. 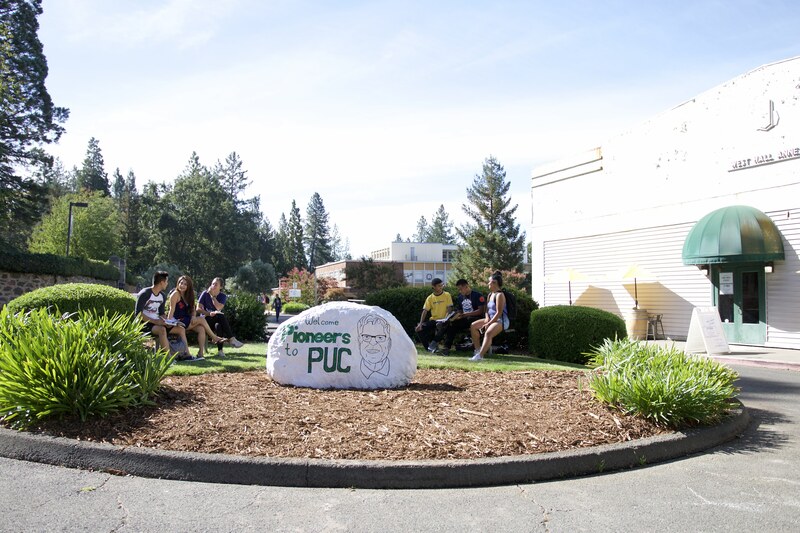 How did your experience at PUC help you prepare for this experience? 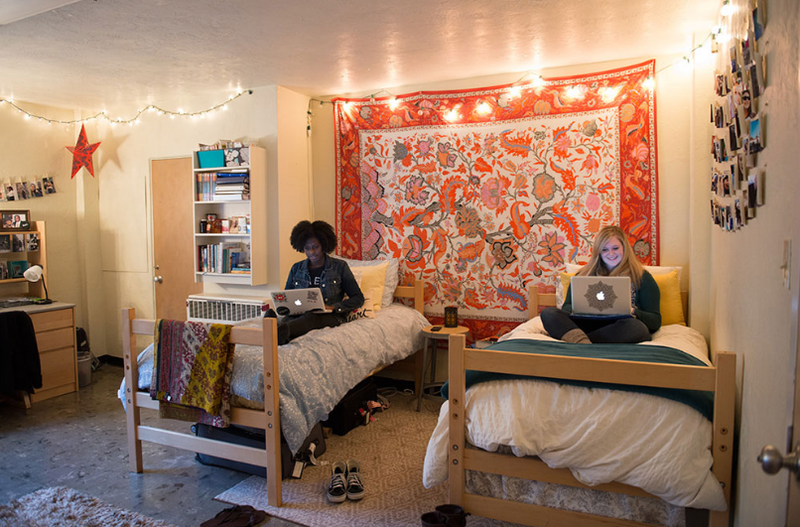 Throughout my time at PUC in the department of biology, the basic skills I have developed through lab such as organizing and processing data in Excel was extremely useful in aiding me in the research process. Also, classes such as Systems Physiology and BIOL 113 allowed me to have a sufficient understanding of the digestive system, which helped guide the conceptual understanding of “why” this research was meaningful.